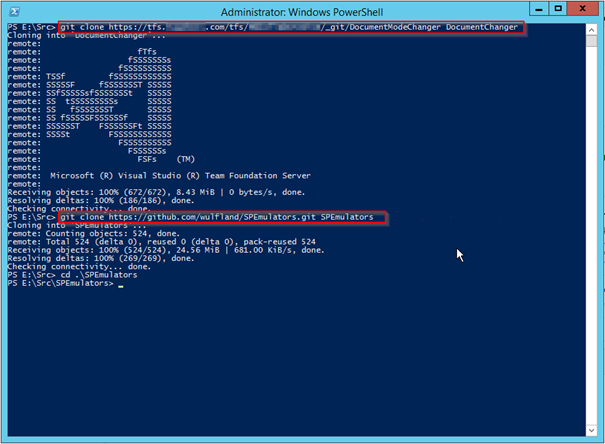 If you run your TFS on prem and use git for windows you may run into two issues. The first occurs if you use SSL for your TFS. The second occurs if you are behind a proxy. The solution is described in MSDN article. It is outdated – that’s why I will explain it here. 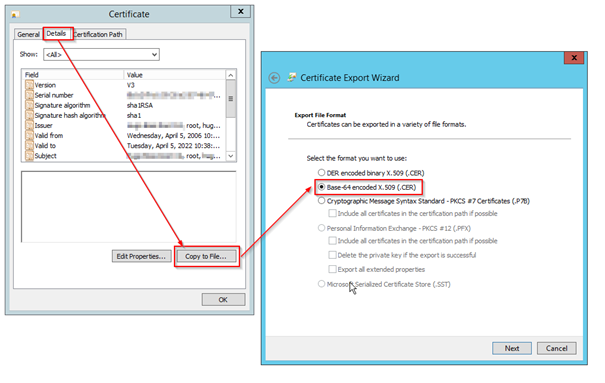 Export your root Certificate to a file. You can do this from within your browser. 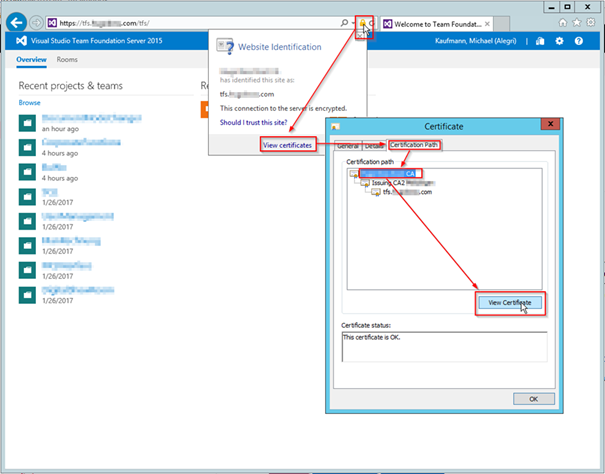 Open your TFS, click the lock symbol right to the url, and click view certificate. In the tab “Cerification Path” select the root and click view certificate again. 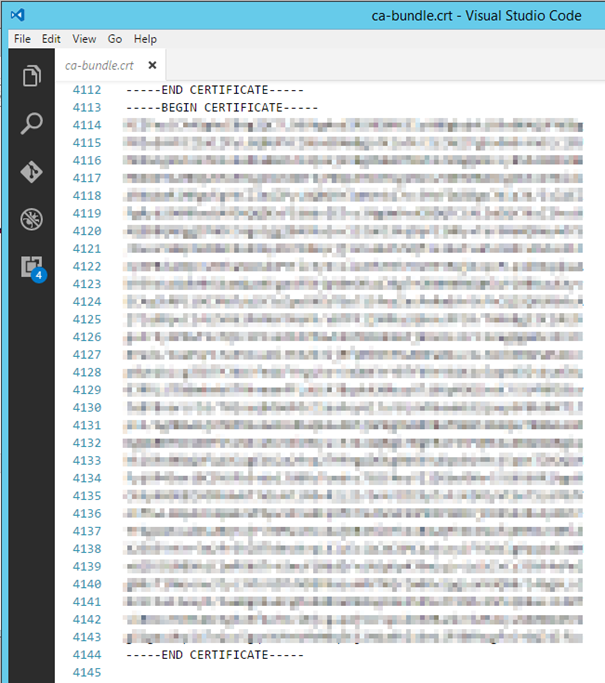 In the “Details” tab is a button to export the certificate. Use Base-64 encoded X.509 and save it to a file anywhere on your disk. Locate the “ca-bundle.crt” file in your git folder (current version C:\Program Files\Git\usr\ssl\certs but is has changed in the past). Copy the file to your user profile. Open it with a text editor like VSCode and add the content of your exported certificate to the end of the file. This will add the following entry to your .gitconfig file in the root of your user profile. If you are behind a proxy, it is pretty easy and well documented how you configure git to use it. The problem is that after that you cannot access your local TFS server. For that to work you have to add an exception for your local URL. Open the .gitconfig file in the root of your user profile. Locate the http section. If your TFS uses SSL and you followed step one you should already have an entry with an sslCAInfo item. Add the url of your TFS to the section had and add a new section without the url. Add a proxy item to both items. Leave it blank for the entry that has your TFS url in it. That’s it. Now you can work with repos in your company network and in the internet. This is true for all kind of git repos – not only TFS. Many Thanks! It was very helpfull, and solved my problem. BTW good news! If you install a newer Git for Windows version and select “Secure Channel” as HTTPS backend instead of OpenSSL, it should work already after installing the certificate into your “Trusted Root Certification Authorities” Credential Store. I installed git for windows version 2.16.1.windows.1 with “use the native windows secure channel library” selected and the self signed certs already pushed to trusted root certification authorities folder and intermediate certification authorities folder. Still got the same error when trying to clone with Visual Studio 2017 (not console or VS Code). Thanks for the hint. I fixed it. how can I set up git to support the CA Root certificate for some repos, but not use it for repos on github.com? I’m sorry but it does not work to me. I’m using a Corporate/Self Signed certificate that is placed under “Trusted Root Certification Authorities”. I installed Git for Windows using “Windows Secure Channel Library” and I got “SSL certificate problem: unable to get local issuer certificate” error message. One is there, and there is another one under C:\Program Files\Git\mingw64\ssl\certs\ca-bundle.crt. I modified also this crt including the content of the extracted self-signed certificate. So basically they are the same file. But yet I wasn’t able to clone repository. Locate the .gitconfig in your user profile and check the sslCAInfo path in the http section. In this crt file your root certificate must be correct (with start and end section). This still works after updating git for windows. If this doesen’t work you can try the method of schindelin and reinstall git for windows and choose “Secure Channel”. I havn’t tried that yet. Thanks! This fix was great!